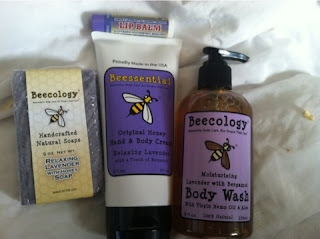 We are ALWAYS on the hunt for more eco-friendly products, and were VERY happy to be able to review for Beecology. In case you cannot see it, the sent an AMAZING lip balm. You mamas KNOW how much I love my lip balm, but I have VERY discerning taste! I do NOT like to use lip balm that is too sticky, but it MUST hydrate my lips! You will be thrilled to know that the Beecology lip balm is PERFECT, and it smells so refreshing! As you can see, the "scent" is lemon and lavender, and it made us immediately feel Spring! But our favorite product was the lotion. It has a nice lavender scent, and I brought it to work with me. It calms and soothes me even on my most hectic days, and moisturizes my skin at the same time. It left my skin soft, and not greasy. It also absorbed quickly, so I was not left with "wet" skin. You can see the thickness here, and a little went a long way! We think this is an incredible company, and we know you will love them too, Mamas! MamaBreak received Beecology products to review here on the website. We did not receive any other type of compensation. As always, our experiences and opinions are our own. Oh man these look fab and I need them!! Thank you for sharing!! They really are amazing! The smell is fabulous! These are perfect for me! I'm very picky about my lip balm too & this is exactly what I look for. I Love that they give back too. Thanks for this review! Eco friendly products are my faves and I must check these out, Thanks for letting me know about them. I love eco friendly products! I need that lip balm, I have very dry lips too. wow, such a glowing review i will have to check it out for sure. that lip balm sounds amazing and so does the company! lovin that they give back too! 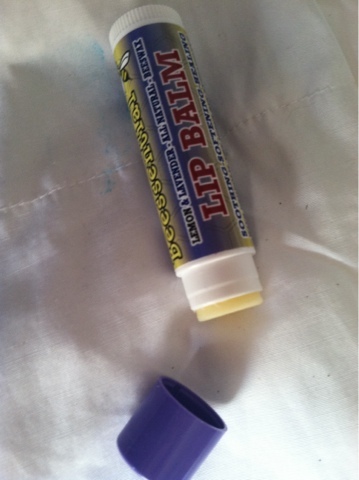 I love lip balm! I so want it ! Kiwi Crate is 40% off!!!! Picture Keeper for those Easter Photos! Disney on Ice: Rockin Ever After REVIEW! HOT Tide HE Deal on Amazon!